Rent a Car in Cuba is unlike most countries you will have experienced unless you have been to Africa or an undeveloped nation. Booking a Rent a Car in Cuba advance is almost obligatory. Walk up rates for cars can be 15-25% more than the published rates and, in Cuba, there is nobody to complain to. You´ll encounter the “take it or leave it” attitude when you are offered a vehicle at extortionate rates. Americans visiting Cuba should rent a car in cuba from USA and NOT upon arrival as the Exchange rates for U.S dollars are not favorable and, the fact is, a rental car could be the single most expensive vacation addition after flights and hotel so it should be paid BEFORE arrival to save on Exchange losses. 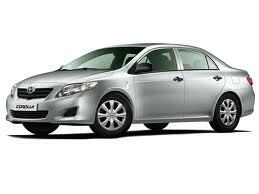 This website will serve as a valuable tool to those who are thinking about Rent A Car in Cuba.